Synopsis: He was one of the most brilliant men in the world. His music inspired millions of lives and changed culture as we know it. But who was he really? This book, just for kids, will look at his childhood, education, marriage and work to see what made him who he was! KidLit-o is a leading electronic publisher in children's books; each month, it publishes several history, science and language arts books. 1. Elvis Presley for Kids: A Biography of Elvis Presley Just for Kids! 2. Elvis Presley for Kids: A Biography of Elvis Presley Just for Kids! 3. Elvis Presley for Kids: A Biography of Elvis Presley Just for Kids! 6. Elvis Presley for Kids: A Biography of Elvis Presley Just for Kids! 7. Elvis Presley for Kids: A Biography of Elvis Presley Just for Kids! 8. Elvis Presley for Kids: A Biography of Elvis Presley Just for Kids! 9. Elvis Presley for Kids: A Biography of Elvis Presley Just for Kids! 10. 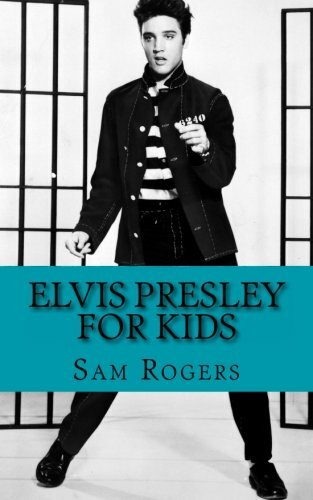 Elvis Presley for Kids: A Biography of Elvis Presley Just for Kids!